Low cost marketing that will have them asking for another one. Statistics show that 90% of SMS text messages have a read rate receipt of less than 5 minutes. Now take that statistic and break it down to a tier of 18-30 year old adrenaline pumping party goers and that number is surely cut to seconds. 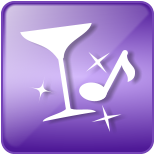 Mobile Marketing Strategy for Bars&Clubs should be included into marketing solutions for all business venues. Young adults tend to communicate via mobile at all hours of the day. 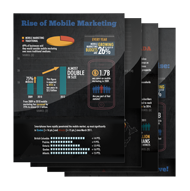 Mobile Marketing will entice your audience to share their experience with friends and others interested. With weekly events and promotions, bar and club owners can spend thousands of dollars promoting an event that can last just a couple of hours. Mobile Marketing combined with strategic use of keywords and short codes can skyrocket ROI while targeting a greater audience. Have your customers RSVP to the mobile text message to put them on a VIP guest list. Pre-qualify customers by having them text their date of birth before they can begin to subscribe and receive SMS text messages for your bar/nightclub. Another feature that is sure to fire up excitement in your venue is GalaxyText’s Text-to-screen feature. All you need is a projector, a computer, and you’re set! Ask the crowd questions, get them to text in to vote, throw prizes on the big screen. This is a hot new feature that has proven to be a crowd favorite. Get people involved by asking fun questions like, “Who cheats more, Men or Women?”, “Vote for the next song”, or, “Text your favorite drink!”. The examples are endless and engages your audience for a memorable night. Contact us here to inquire about our Text-to-screen service.